I won't spoil the surprises in this imaginative book, so I'll just quote the beginning, "There once was a girl named Umbrella. You can't name a girl Umbrella! There once was a girl named Isabella." 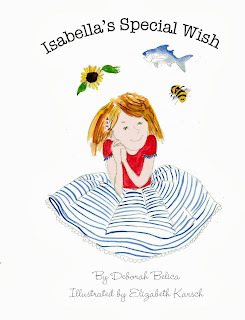 This adorable book is about a girl named Isabella who is on a quest to make a special wish. On the way she walks and climbs up and down...things. You see, things are not what they seem in the book. At first it's something silly, and then it's corrected to something more practical that rhymes. I've not read a book like it and it is not only well-illustrated, but it's fun to read aloud. My 8 year old liked to predict what the practical rhyme was, although she didn't always guess it right, which made her giggle. I enjoyed the fun rhymes and element of mystery (what is Isabella really doing?). I enjoyed this book tremendously. So I interviewed the author, Deborah Belica. VALERIE HARMON: What inspires your writing? mouse”. Each taking turns to find something and make a rhyme with it. VALERIE HARMON: What is your favorite thing about being an author? the children reading the book or the parent reading to the children and I feel wonderful. VALERIE HARMON: What is the toughest part of being an author? DEBORAH BELICA: I have owned my own business but still this has been big learning curve for me. From authors pages, facebook pages, QR codes, ISBN numbers, Library of Congress Control Numbers, layout and design, book signings to public speaking all new to me. I would like to say here that finding the right publisher is key. My publisher has been awesome and we have a great working relationship. VALERIE HARMON: What is your favorite book of all time? taught me something different. A quick and wonderful read. VALERIE HARMON: Which character from ANY book are you most like? DEBORAH BELICA: Alice from Alice in Wonderland. Curious and trying to make sense of it all. VALERIE HARMON: That is hilarious! I LOVE that picture! Are you working on something new? DEBORAH BELICA: Yes, Isabella’s newest adventure will be out in 2014.
reader I think you will enjoy her adventures and if you are an author keep on writing! To connect with Deborah Belica and hear about more Isabella, click here for her website and Facebook page. "This children’s ebook series teaches kids the valuable lesson that they can be anything they want to be, no matter how unlikely it first appears." "The point is, no matter how ridiculous someone’s goal seems, don’t disparage it. The more unlikely it is, the more the person will work to make it happen. And I think that’s the idea we want our kids to learn from these books." Titch and Mitch are pixies who get themselves in and out of trouble with their brave daring and sometimes just plain clumsiness. 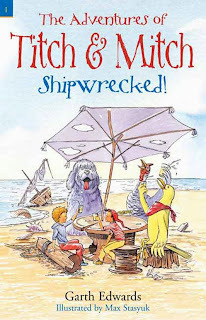 Stumbling down a hill and into a "giant" who wants to take them to "Biology" (whatever that is (they think)), Titch and Mitch barely escape onto a boat which shipwrecks and into more adventures they go, meeting a dog, turkey, fairy, rabbits, vicious hawk and a painted-yellow seagull! The illustrations are reminiscent of the 1930's, almost each page of this e-book has adorable pencil drawings that add tremendously to the story (loved the Dragon Mouse!). I hope to read more in this series and am glad to see another quality children's book in ebook form. Valerie Harmon: How did you become a children's book author? Garth Edwards: On leaving university I worked in the chemical industry for many years, a rewarding occupation, although writing was always my main love. At the time I had to support a mortgage, a wife and two small children so the idea of becoming a full time author remained a dream until recently when I took the opportunity to jump ship and start writing for real. I went back to the stories I told to my children when they were little. I found they loved stories about dragons, wizards, fairies, goblins, giants, talking animals so together we made up a world of fantasy. I showed them how to use the magic words "What if...?" VH: How do you come up with your ideas? What if there really was treasure at the end of a rainbow (see The Adventures of Titch and Mitch - The Trolls of Sugar Loaf Wood)? GE: It was obvious I needed an illustrator before I submitted my books to a publisher. I found a web site where artists looked for work and I advertised for someone to illustrate a book about two pixies aimed at 5-8 year old children. I received 184 replies from artists with samples of their work and they came from 17 different countries. I was bowled over with the response. I whittled them down to a short list and my wife and I selected Max Stazyuk as being quite an exceptional talent. Max lives in Kiev in the Ukraine and although he does not speak English his wife does so communication is fine. He sent me his samples and they went with the book to a publisher. The publisher was impressed and invited him to London and so the books came alive. VH: What is your favorite thing about being an author? GE: There is never a dull moment. Starting a second career with something you love doing is great. My imagination is never idle. VH: What is the toughest part about being an author? GE: The time the publisher had in staying afloat when book stores were closing down. I had to take back all my publishing right and join the rush to ebooks if I was going to stay being an author. The only rights I had sold were the audio rights to the BBC and I have to say that the actor who reads them did a brilliant job. he gave all the characters a slightly different accent and tone. A real talent. VH: What is your favorite book of all time? Children's book? Adult book? GE: All the books by Roald Dahl are my favorite children's books. The adult book would be Frederick Forsyth's The Day of the Jackal. VH: Which character from any book are you most like? VH: What character from your books are you most like? GE:That would be the crazy boy Todd who makes his first appearance in Secrets of Mercy Hall. He started out as a minor character and changed from funny troublemaker to hero. VH: Which book would you like to take a weekend vacation inside of? GE:Wilbur Smith's The River God. I'd like to see at first hand life in ancient Egypt and the Valley of the Kings. VH: What is your favorite season? GE: Summer time. Light nights, cheerful people, barbeques, summer sports and so on..
VH: Have you had any funny experiences that happened while promoting your books? GE: I was invited down to London by the publisher to talk to a primary school on World Book Day. I was collected at the railway station by the rep for the publisher and she met up with two people from a bookshop who were driving separate cars and one of them had a stock of my books. The driver from the book shop said she would lead and we would follow because although none of them knew the way she had a "sat nav gismo" that would take us there. We left London and somewhere in the countryside outside the city we got lost. There were three cars driving in convoy down country lanes until finally we arrived at a derelict old school. The new school had been rebuilt some distance away and the sat nav hadn't been told. When we arrived at the new school there was no time for lunch and I had to go straight into the school hall and perform. The school had made a big occasion of it and all the children were dressed up as characters from their favorite book. This included the teachers with the headmistress, Mrs Smith, dressed as the Queen of Hearts. I thought it went well with a lot of laughter and support. At the beginning I told them about a large prehistoric egg washed up on the beach and at the end of my talk I would ask them what they thought would be in it. "Now what about the egg," I said finally. "What do you think came out of it? Would it be frightening?" The first hand that went up was that of a sweet little girl about 6 years old and she said. "Mrs Smith 'cos she's my worst nightmare!" VH: Anything you want to say to followers of this blog. GE: If people keep buying my books I'll keep writing. In the North East of England there's a school scheme where children age 10/11 read and write reviews of a book. 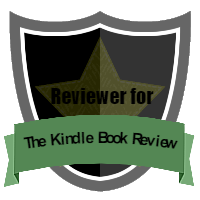 My book Escape from Mercy Hall is one of the books they use and I have to judge the winners. It is very satisfying to read these reviews and that alone would keep me writing. One day I'll blog some of the reviews they come up with but there's no time in this interview. I just stumbled on this blogpost of my WantsToBe children's picture eBook series. It was written in July, but I didn't notice that it was up until now! Ha ha. Feels super though, to have someone blog about my books. And to like them! Mrs. Mommy Booknerd says, "I love these stories about the unlikely interaction between the animals and the sheer determination to make a change! The stories are original and the pictures are colorful and fun! 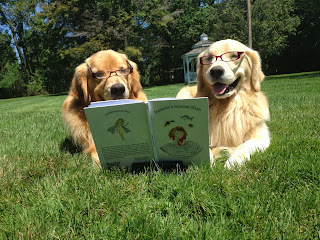 My kids and I loved to see how each book would end and what the animals would change into!" Thanks Mommy Booknerd! 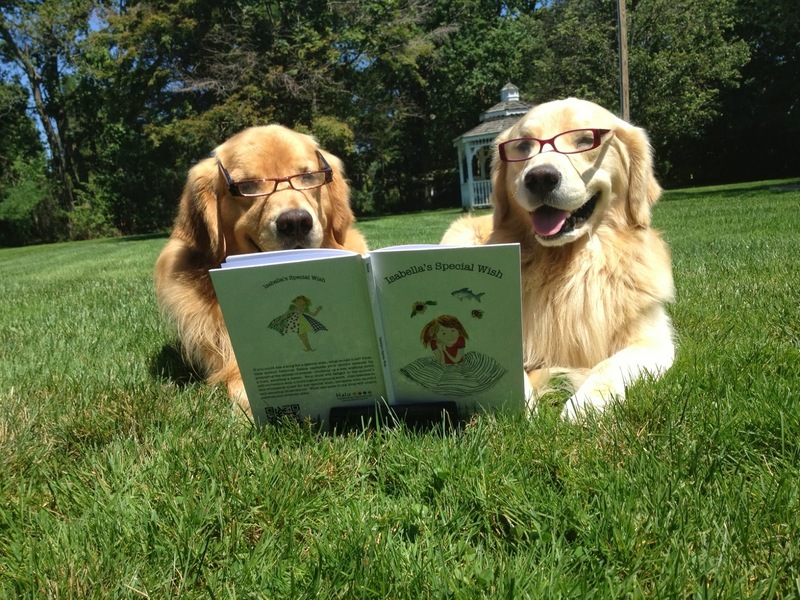 I'm glad you and your kids enjoyed our books!